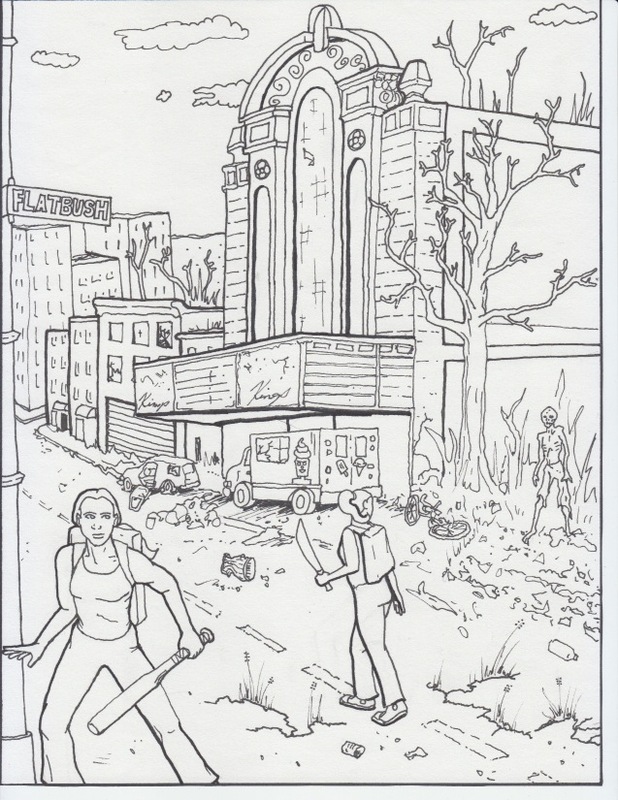 Kristi has been hard at work drawing pictures for our color book Zombie Apocalypse in Ditmas Park. I wish I had something like this when I was a kid. 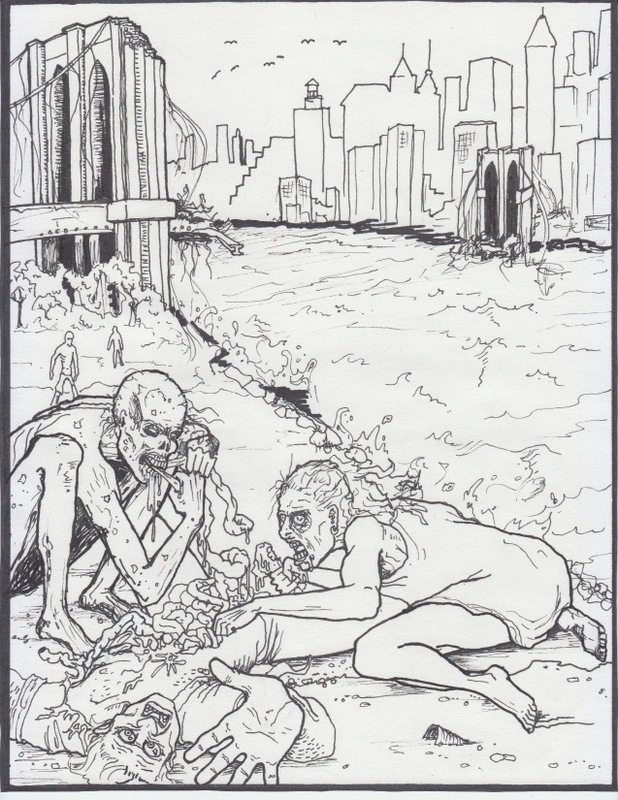 I don’t think I even knew about zombies then—just mummies, courtesy of a drunk GI who wrapped himself in toilet paper and jumped out of a tree in front of me. This book will be especially nice for me because it actually features me and my sister, her boyfriend Ed, and our neighbors and friends. My mom and dad ordered some books when I was about seven or eight where Kristi and I, personally, were supposed to take part in the story. It was just the Disney version of the Snow White story, and the company involved us in the story by printing Kathleen and Kristine Scheiner as names of the dwarves. I remember that our names were set in a smudgy type font that didn’t look anything like the surrounding text. Even then, I knew it was a rip, and I didn’t particularly fancy myself as a dwarf. Especially a Disney dwarf. So take that, Disney. Kristi’s drawing our neighborhood bodega next, Salahi’s, which is featured in our story. This family-run bodega hasn’t shut down in twenty years; they keep it going 24-7 and for sure would have it together during the zombie apocalypse. Mo even let Kristi and Ed take pictures of the bodega for visual references. We’re hoping to have this particular project done in time for the World Horror Convention in New Orleans this June and have many more ideas in the hopper. Zombie genius takes time, though.